...I wish is was years of age but I need to drop a post in before the end of the year to get to 50 for the year. Obviously less than one a week which is poor but in my defence it’s been an busy year.... I will of course do a recap ( mainly for myself ) of the year as I find it engaging to remind myself what I have been up to. Back to boating, as I noted in my last blog I need to fit another stove so while I have some relaxing time (at last) I have been Googling ! The back cabin really deserves a proper range type stove. 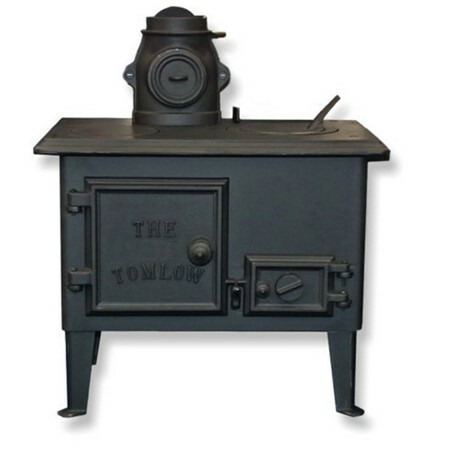 I did quite like the Tomlow stove but it seems they are no longer sold? I guess it'll be a more standard glass fronted stove but I'd like something with character not just a square undecorated box - any suggestions of links or even pictures of what yo have ? 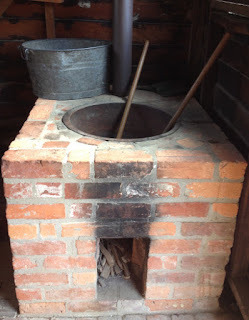 1: A back stove needs adding back in. I do have a nice guards van stove - similar to that which was in when we brought Percy back in 2012. It was there but not connected when I had the boat safety and the surveyor said if it was installed he could not fail the boat but just add an advisory. So I could add it in but it is not a sealed type and we have slept in there with the stove on so it really needs something a bit safer, plus in my workshop at the cottage there used to be a copper for washing clothes - you'd have to be over 50 to know what one of those was. Close to what I have in my workshop - minus the coper (no doubt weighed in for scrap some years ago) I intend installing my guards stove here so I will need a replacement for the back cabin. I may tie this in to a trip up the Macclesfield to get a chimney made for when I have the stove in. I think they do this at Bollington wharf - or I could nip to Streethey just round the corner on the Coventry as part of one of the trips that way. However I may have a go myself. I have an arc welder so may practice in the workshop chimney. 2: There is some paint touching up needed - not my favourite job but it needs attending to - a crack in the roof paint in annoying but needs attention. 3: Two floors in the kitchen and bathroom need laying - I have the Karndean. 6: I need to complete the bilge inspection hatch I had to cut when Rachel tried to sink the boat from the inside !! Thats about it but I'm sure there will be a lot more pottering to do - plus I have nine cruise routes all planned varying distances/times/locks but cruising I need to do. What were you doing this time last year...? I've commented before the blog, this blog is a great way to remind myself what I was doing in past years. As I come to think about this year, I like to do a resume post at the end of the year, I looked at what I was doing last December. We were due to exchange on our property in early December last year, an optimistic target set by the people wanting our house no doubt with a Christmas occupation in mind. So we rather sportingly emptied the whole place into store in late November. The result was me coming back up to the Midlands at the beginning of December on a very clear frosty morning to live aboard again leaving an empty house in Derby. I've said before living aboard in winter is a hard task, much more darkness than light, 24 hour stove operation - a real test of the boats systems, however simple. Also a test of the boaters resolve. It does make me think sometimes how new boaters with the 100k plus boats with all the home comforts manage. I guess like most new things they operate well, but 5 years down the line ....? It's not all bad of course, living so close to harsh nature is a real privilege, you are so aware of the seasons, the impending weather is always on your mind as is the changes going on daily around you. It is also a feeling of being in a unique hardy club. We also spent Christmas aboard which was nice - even though I was down with flu and called by work Christmas day and in work on Boxing day. So this year is so very different, but more of that in my year round up. No I'm ok really, but I do need to update my blog with a few bits that were missing up to today as I close in on my first three months of retirement. Plus is minus temps outside and I am waiting for the heating in my little workshop to heat it up so I can wire in the outside socket - if that makes sense ! It is the best job I have ever had .... I am sure I was born to retire ! So back to the end of October I was invited by good friends up north (Leeds, Middlesborough and Hull) to have a few days in Bewdley so we could ride the Brecon Beacons roads. We based ourselves in a Weatherspoons where the food is plentiful and beer is cheap - one night we had four nightcaps !! Not too many photos but the little blue 650 did me proud as we wended our ways around this lovely part of mid Wales. Early the next week I was up at silly o'clock on a bike buying adventure. My good friend Les from Scotland had purchased a new bike and I was to have his old bike - well 8 years younger than my little 650 ! I was to meet him in Oxford where I'd go pillion over to Gloucester then I'd ride his (my) bike back to Chichester while he rode his new bike to Dunoon in the west of Scotland - Lovely place. So I was up at 5.20 am and my long suffering wife took me to Bosham station for the 5.55 or so to Southsea where I caught a train to Winchester then a train to Oxford. Not a view I normally get - on the back of a bike. I had wondered why the farmers round here were planting Sunflowers ! Back down south and it was a strip down time as the pannier catch on the 700 had broken, such poor design and half the bike to be removed to replace one small spring ! My Lovely Honda ST1300 Pan European was written off after a bump on the way back from Germany earlier in the year. I tempted myself with this F800GT BMW and got within £50 of buying it but the dealer would not deal so he got a no sale ! C&RT made an assessment of the tree that partially came down in one of the Autumn storms and decided to remove it and leave an ugly stump..... no matter it won't fall on our boats now - the wood disappeared as quickly as it was cut apparently !! Fradley visitor mooring completely empty ! Part of the reason for being on board was to use the boat as a base to visit the NEC Motorbike show. I came away a little disillusioned as most bikes were 'adventure ' styled - all thanks to Ewan Mcgregor and Charlie Boreman who did a round the world trip on 2 big BMW's now everyone thinks they have to have the same adventure bike to go to the shops on ! These bikes are tall and I am not. This is an £18,000 bike - lovely but would I enjoy owning it at that price ?? I think after the show I had decided what I wanted.....more later! Then I spent time sorting a weep from the fuel pump for the Rayburn - us retirees have to DIY to save money - plus it is a great way to keep the grey matter active - beats puzzle books my colleagues kindly brought me as a retirement present !! Earlier this week I had another 'big' drive after dropping Rachel off at the railway station in Stoke. Up to Macclesfield to look at three bikes - nope, then to Beaston to look at two bikes- nope, then to Chesterfield to buy this one. We had a lovely meal with Teddy two spoons who is leading the field on baby led weaning - he chooses what he wants to eat and he knows he likes Grans sweet potato mash. Finally we lit (tested) the open fire a the cottage - burns and draws lovely and I have not stopped burning stuff on it since ! !